is one of a family of Opto‘s Imaging Modules, a group of integrated ‘plug and play‘ imaging devices, featuring an optimised combination of onboard camera, optics, illumination, and electronic control interface that together deliver a perfect image first time - every time for virtually any imaging application. 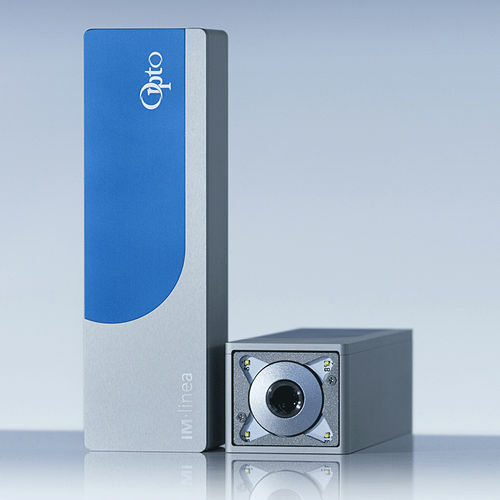 Designed for smart production, and many ‘Industry 4.0’ applications, Opto Imaging Modules bring an unprecedented level of intelligent, easy-to-use, easy-to-integrate, imaging performance to any production environment - from measurement machines to test systems or roundness analysis to bio imaging instrumentation. Each Module is provided with its own SDK and image acquisition software, making it simple to integrate into any network or system. • Various high resolution, perfectly optimised closed-loop optical designs coupled directly to the latest onboard imaging sensors - no camera needed. • One wire direct USB3 image output & compatibility to most machine vision software packages. • Optically pre-calculated and tested by specialists enabling the user to achieve perfect results without needing deep optical knowledge. • Significantly shorten system development times for machine builders and integrators. • Robust and clean aluminium design, different layouts to dress spatial conditions. A product finder on the Opto homepage assists in finding the right Imaging Module for the individual application.